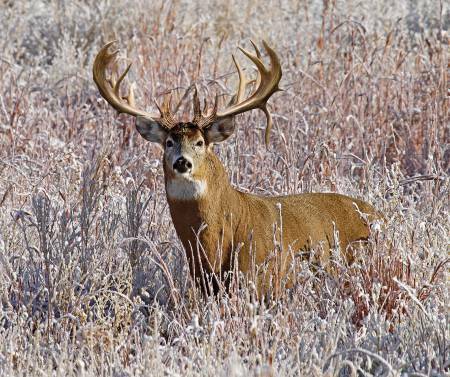 36" digitally printed panel of a white tail deer standing in tall grass. From the Kings Camo collection from Riley Blake Designs. 100% cotton. 43" wide. 36" panel.